Welcome to the 42nd Annual Messiah Sing-In! Every year, people from all over our community come together to share in this wonderful event where the audience is the chorus, joined by an orchestra and soloists. The conductor this year is Dr. Elliot Jones. Thank you for attending the 2018 Messiah Sing-in! This year, almost 900 people attended. We raised over $6600 from donations. Donations are still being accepted - please go to our Contact page. 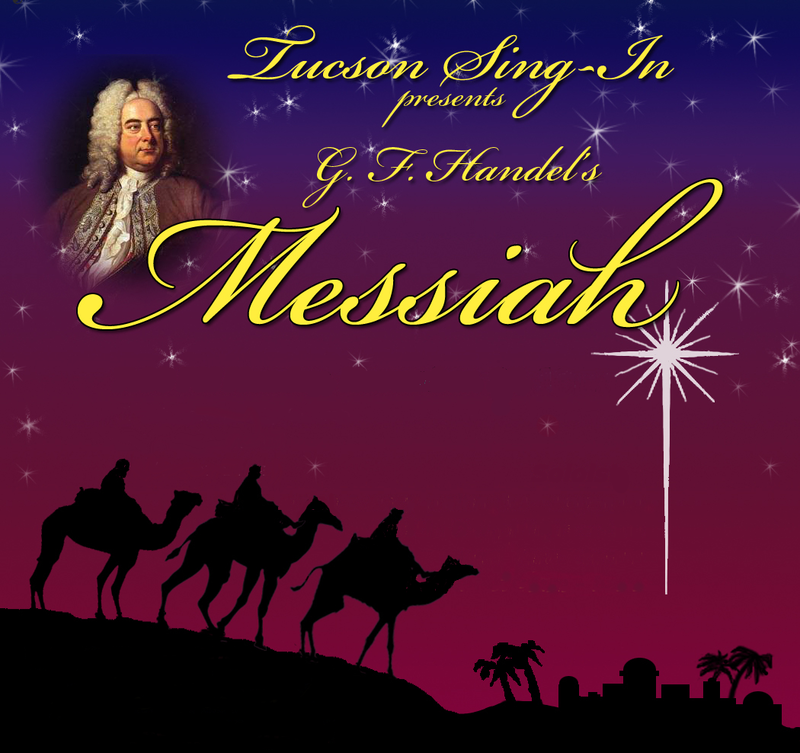 Thank you for supporting the Tucson Sing-In, Inc.
7832 N. Sombrero Peak Dr.